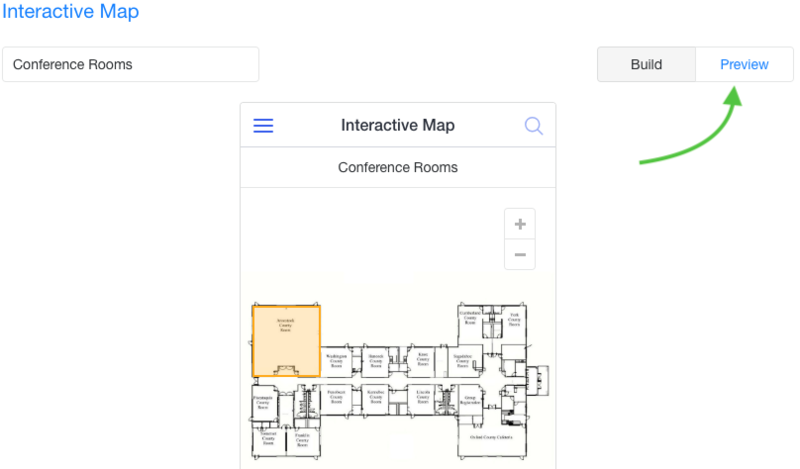 Add an interactive map to guide your attendees around your event. Highlight points of interest and things to look forward to. 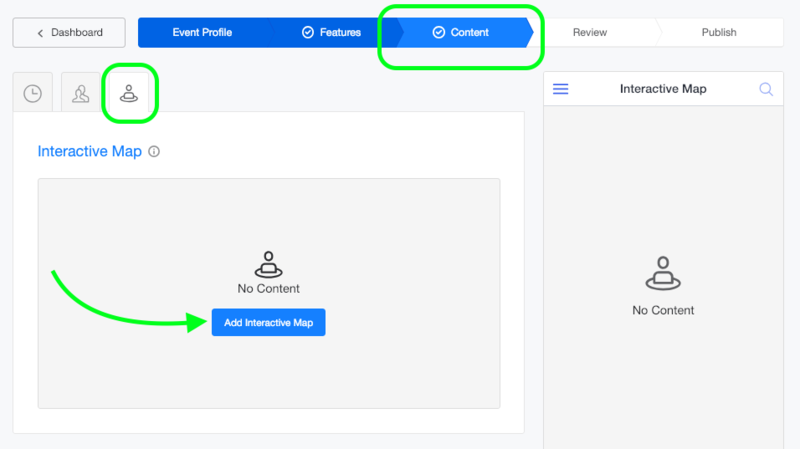 Click the “Add Interactive Map” button. 3. Upload an image that is at least 800x800 pixels in JPG or PNG formats. 4. Then click on the blue “+ Location” button. 5. Use the blue square to tag your location (drag & adjust it to cover the location area). Add location name, choose a color to highlight it, and add optional booth number. Link each location to any number of sessions, speakers, sponsors, or exhibitors (just click on the field and start typing the item's name). 6. Click “Save” to save each location. 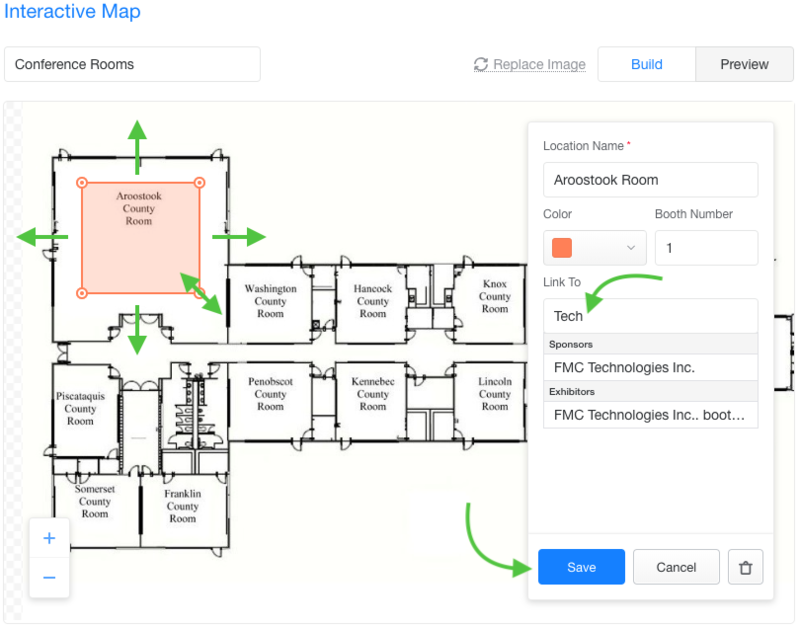 Once you are done adding and saving locations, your Interactive Exhibit Map will be saved automatically. To see how the map will look like in the app, you can use the “Preview” button in the top right corner. The preview window is clickable. That’s it, you’re all set. Please note that you can update most of the content instantly, anytime, even after your app is published. There is no limit to the number of content uploads that can be made. Didn't find the answer to your question? Feel free to chat in on any attendify.com page or email us at support@attendify.com.